The Minima design store in Dublin is the place where design lovers go for their home interiors and architects for furnishing their buildings. Minima was started by Helen Kilmartin over twenty years ago, at a time when not so many Irish people were aware of design. She now represents many of the top design houses, such as Cassina, B&B Italia, Moroso, Foscarini, Flos, Paola Lenti, Gandia Blasco, Rimadesio, Mdf Italia and Edra to name a few. Helen met Nuala Goodman over 20 years ago when her first Dublin store ‘Presents of Mind’ was stocking Alessi household goods, among which was a series of painted wooden boxes which Nuala had developed for Alessi and which were being produced in 5,000 pieces. The two have been friends ever since. 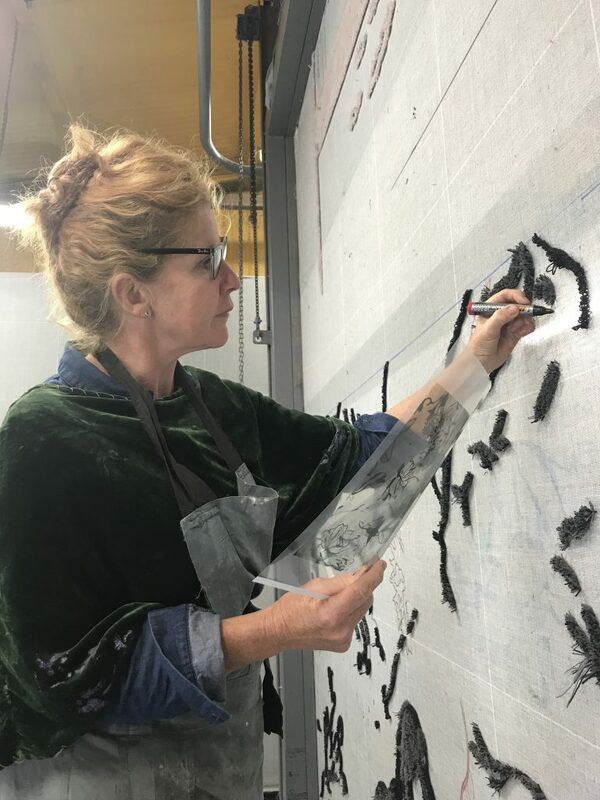 Nuala is an Irish artist who lives in Milan and works extensively in the area of textiles. During the 2016 furniture fair in Milan, she made a special velvet fabric for the Nilufar Gallery. 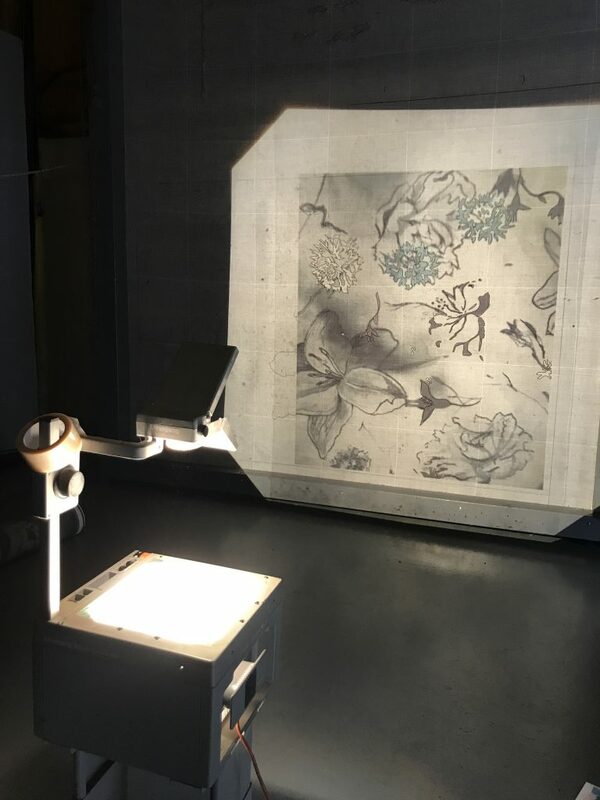 It was a gray velvet fabric, printed with black flowers and with a muted colour palette of velvet flowers which sit on the fabric to create a 3D effect. 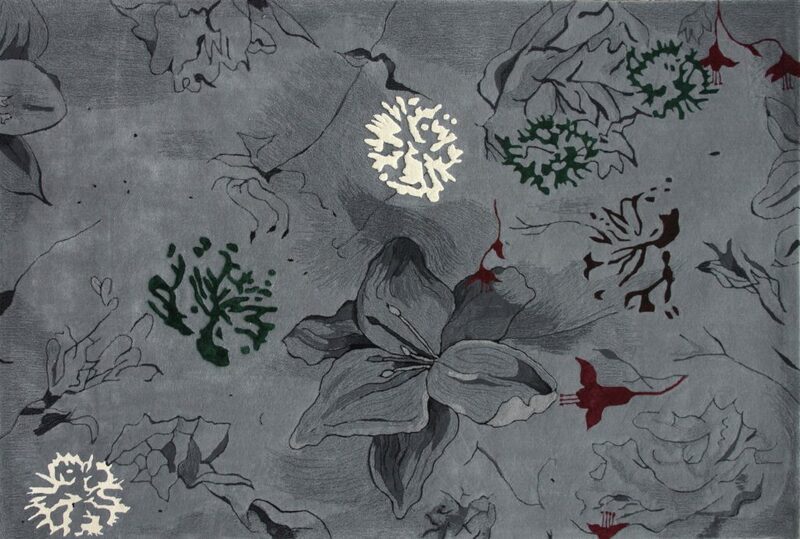 This year the ‘Flower Power’ pattern became a large rug for Nilufar Gallery. The muted gray wool background had olive, saffron, aubergine and champagne colored flowers sitting in a light relief, recreating the three dimensional effect. It was produced by Ceadogán Rugmakers. Helen Kilmartin knows what she likes and what her customer will like. She saw a fabric sample Nuala had with her one day when they were having lunch and asked how it would translate into a rug. So from this a new rug design was made especially for Minima, with a similarly muted palette to that of Nilufar’s, but different. The scale of this rug is smaller and it is more precious, made will wool with elements of silk throughout. Together with Ceadogán new samples were developed according to Minima’s requirements, such as an extra low pile. This special piece is a collaboration between Minima, Ceadogán Rugmakers and artist Nuala Goodman.